Today was one of the first sunny days we’ve had after many days of rain so we took advantage of the warm weather to have lunch al fresco in Marbella’s Casco Antiguo. We’ve been to the old town many times for breakfast (churros con chocolate) or for dinner (Casanis, La Famiglia) but never for lunch and after four years of being here, it was time to give it a try. We went to our old favorite, Casanis, for a quick lunch – steak tartare and entrecote, both with their fantastic fries, and a creme brulee to share. Our table was right beside the Casanis deli and wine shop and it was a real treat to sit outdoors and see locals and tourists walking by while we were enjoying our lunch and the wonderful weather. After our meal, I was all set to drop by a few places I’ve been meaning to go to and check out for ages but never got around to. One of these places is the tiny Pomposiello where fresh pasta is available – cannelloni, ravioli, gnocchi and where they have a few tables serving their homemade pastas. 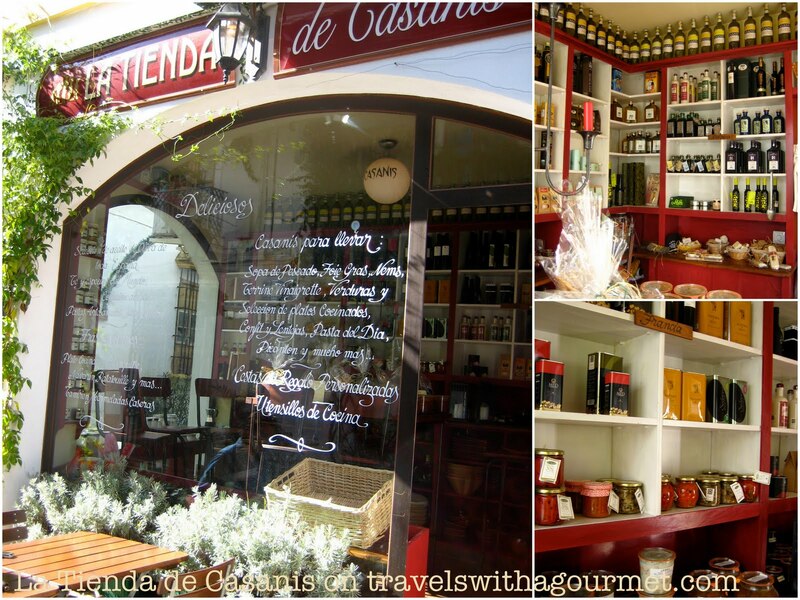 From the takeaway counter, they also have pizzas, empanadas and ready-made pasta sauces. It’s a great little place for when you’re stuck for dinner and don’t want to do a takeaway. I didn’t get a chance to take any photos as we were double-parked but this place is definitely going onto my Marbella food shops list. 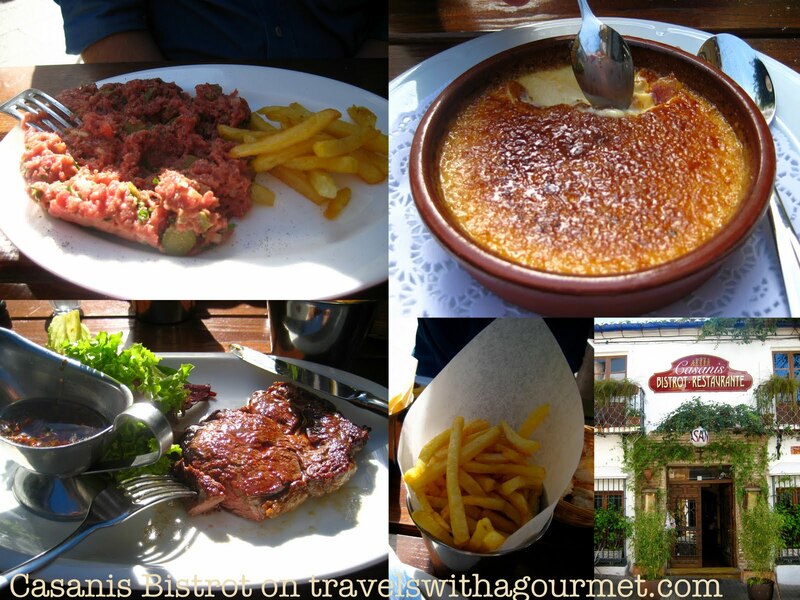 mmm…entrecote, steak tartare & creme brulee…so yummy. Must ask hub to go out for a nice juicy steak.